If you’re a loving soul feeling disenchanted in today’s shocking world, then inspire yourself on a sacred trek through India's spiritual wonders. Learn to master chaos, reconnect with your deep inner wisdom, and experience five awesome truths for a happier life! Imagine wandering through crowded Delhi streets; a vendor pulls a cart of fresh mangoes while auto-rikshaw drivers chat in Hindi. You see a gorgeous white bull weave through honking cars, motorbikes carrying entire families, and decorated trucks. Amidst the whir of activity, your mind drifts to the shores of the Ganges River with ashrams to replenish your spirit, then dreams of Himalayan monasteries where lonely wanderers have found their paths, and reaches the temples of Punjab which house the wisdom of past gurus. Sights you'll see on this trip! You're pleasantly brought back from your daydream by the entrancing aroma of sizzling aloo tikki from a street-side stall. The chef pushes two onto the tawa griddle for you. As you wait, a snake-charmer with his tall turban plays the flute, jubilant children dart about giggling, and a gentle dog gobbles up a piece of roti. You can't believe you're having a zen moment in one of India’s oldest megacities. It must have something to do with the Ayurvedic massage last night! Finally! You're ready to embark on the adventures that drew your hungry soul to incredible India. 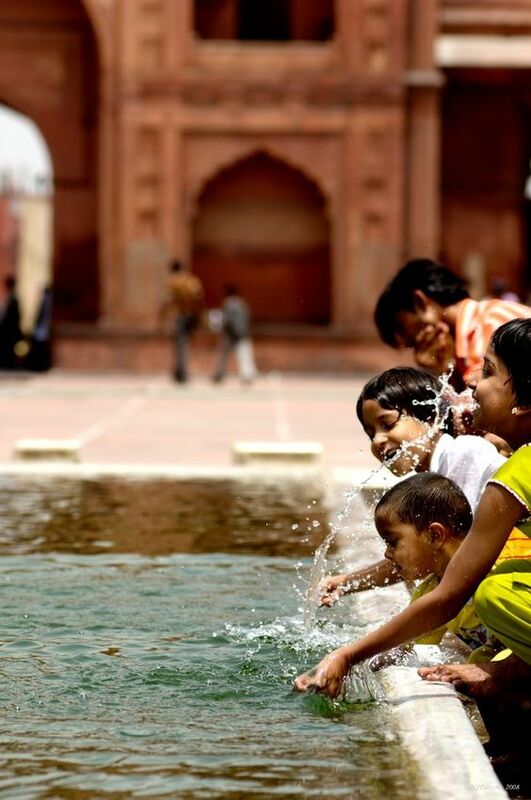 Experiencing the REAL India means freeing your soul. From bustling megacities to tiny villages, bask in the wisdom of India on this 17-day journey for the open-hearted traveller. You'll learn to surrender to the present moment, trust your subtle intuition, and awaken to the divine energy of this wondrous land. Make this third-eye-opening retreat your priority for 2018! Longing for an authentic adventure in India? We hear you! Colour and chaos, sacred cities and snow-capped mountains, India is a bustling cacophony of wonderful that will rekindle your passion for stepping into the unknown! This unique journey combines our East-West perspective through 5 lifestyle principles so you can taste the spice of life! Intrigued by India's rich, spiritual traditions? You’re not alone. Scientists are in a frenzy over the benefits of sacred practices from Sikh, Buddhist and Hindu lineages. Come take a dip in the holy waters of Amritsar, chant with monks in the Dalai Lama's hometown, and experience Rangwala Holi (Festival of Colour) amidst thousands of joyous souls. Together, let’s light up your spiritual path like never before! Eager to tune into your truth? You are a divine being and by the end of this journey, you’ll be enlightened by the teachings of past masters, sacred energy at spiritual power spots, and lots of yoga of course! Plus, we’ll show you the most powerful guru, Atman, resides within you. Get ready to rediscover your truth and elevate your life! Alright, now tell me why I have to be there! You deserve to live every day of your life with joy, that's why! In addition to travelling to must-see cities, this transformational journey will give you the tools to cope in a changing and often challenging world. You’ll experience firsthand the 5 cardinal principles of Santosha, Ahimsa, Moksha, Vidya and Yatra (contentment, nonviolence, liberation, self-knowledge and sacred travel) and their link to Atman, your inner truth. Even after our journey together, awareness of Atman will empower you to live your truth. That's what makes this yatra truly invaluable. Stop lusting for a life you love; learn to create harmony between your inner and outer worlds to make your blissful life a reality! What A Powerful Experience... take me to India! You'll be redirected to a secure payment processing page for Journeys of the Spirit. It’s time to reclaim your sense of adventure! We'll visit amazing landmarks together and you’ll come back with a newfound sense of your place in the world, not to mention stories and photos that will make your friends drool! Your travels begin with touchdown in India's capital, where Bollywood meets Buddha (and everything in between) in a wild mash-up of people and culture. It can be a shock if you've never been but not to worry, we’ll take care of all the details so you'll be sipping masala chai while roaming the streets in no time. 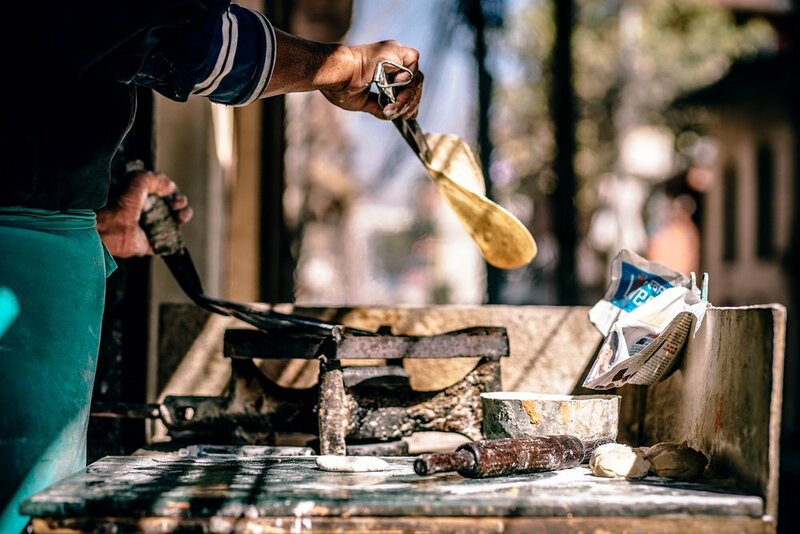 We'll whisk you away to see Old Delhi’s markets, including a visit to the infamous Parathe-Wali Gali where you'll taste stuffed flatbread that is to die for. Spend afternoons in urban bliss exploring architectural and spiritual wonders, including Bangla Sahib Gurdwara, Jama Masjid, and the Lotus Temple. 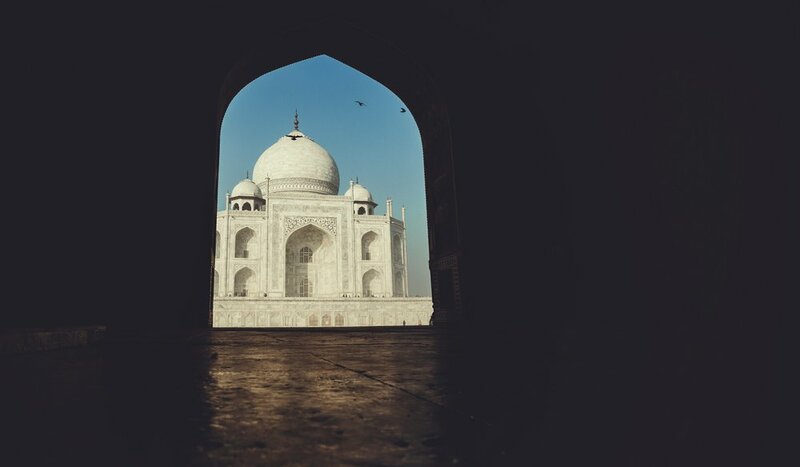 No stay in India is complete without a visit to the unforgettable Taj Mahal in Agra. So check that off your bucket list! You’ll reach destinations that truth-seekers from far and wide have travelled to for centuries. In the yoga capital of the world, you’ll meditate at Vashistha’s Cave, witness aartis with flickering flames, and visit many ashrams, including the infamous Maharishi mahesh where the Beatles stayed. Who knows which enlightened masters you’ll run into during our travels! Ready for temple-hopping, sacred ceremonies, and an adventure tour of Rajaji National Park to see wild elephants (and maybe a tiger if we're lucky)? It's all part of this experience! Festival of Colour - Come celebrate Holi with us. You'll be part of the big, happy, Indian family before you know it! Imagine spending an entire day at The Golden Temple, the holiest site of the Sikhs. 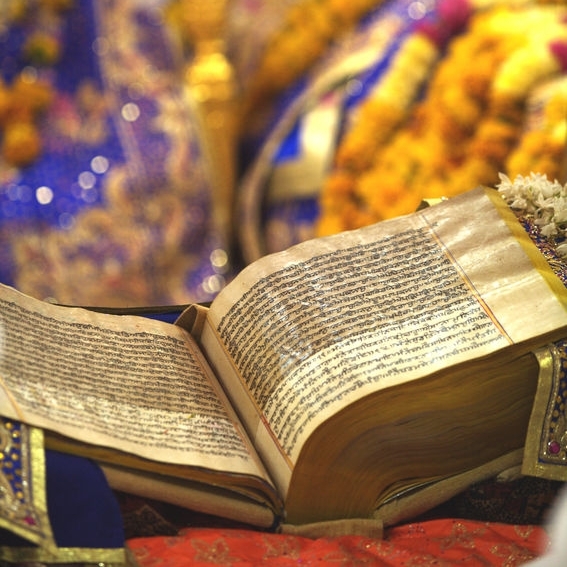 There, as you walk through the peaceful grounds, you'll hear the original scriptures of Guru Nanak that were also adapted for Kundalini yoga, the yoga of awareness. As you bask in this indescribable energy, there's no telling what effect it will have on you -- especially if you're open to transformation! 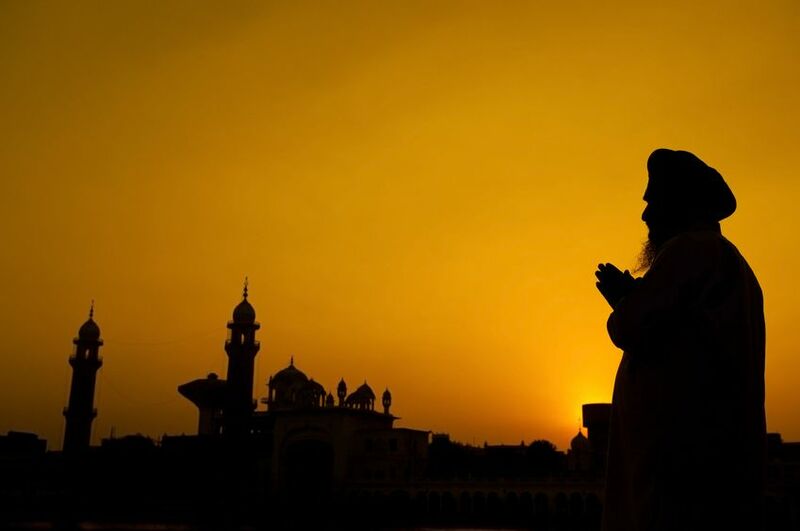 Experience the morning ritual of awakening the Sikh guru, a holy text, and enjoy ongoing meditations all day. Bathe in the healing waters surrounding the temple and allow your worries to wash away. Humble yourself in service of others and you'll feel a deep sense of connection to humanity. Here, you'll be in awe at the Hola Mohalla festival, showcasing epic mock battles and all the colors of Punjab. Take in the majestic history of Takhat Keshgarh Sahib Gurdwara where the 10th Sikh Guru baptized five beloved saints. Recharge in the beautiful green gardens of Dashmesh Sadan, a spiritual haven for Kundalini yogis. Can you imagine paying a visit to Namgyal Monastery in McLeod Ganj, the Dalai Lama's home away from home? It's the perfect place for peaceful hikes in the mountains and silent meditations alongside monks and nuns. While here, you'll soak up Buddhist traditions and experience ultimate spiritual bliss. You'll also enjoy an excursion to the beautiful green foothills of the Himalayas where you'll see women in bright saris picking tea leaves in the sun! Many Indians will tell you there are no words to describe the ethereal beauty of the lush terrain you’ll encounter here, but shhhhhhh! It's kind of a secret. Together, we’ll experience cities, communities, and conversations that will inspire you for the rest of your life, if not for lifetimes to come. Dare to catch the next plane to India for a journey like no other! I'm so ready for an adventure! From hello spice-ay! to super mellow, India has flavors for every palate! North India’s mouthwatering dishes are revered around the world for very good reason. City streets are lined with some of the oldest food joints that you'll ever see, with generations of families carrying on the tradition. You'll discover each state has its own flavourful masala mixes that are blended with fresh vegetables to create stunning curries right before your eyes. In Delhi, taste cholay bhaturey (chickpea curry) that you'll savour till the last bite, find Mysore masala dosas with yummy coconut chutneys, enjoy spicy hakka noodles and other 'Desi-Chinese’ delights, and scarf down a scrumptious bisi bele baath from Karnataka. You’ll travel north, where Agra’s infamous chaat is sure to leave your tastebuds in a tizzy, Punjab’s hearty saag and roti will make you a believer, and Dhasa’s Tibetan-inspired thukpa (noodle soup) and momos (dumplings) will steal your heart away. Not to mention the divine kachoris of Haridwar and the satvic (pure) dishes in Rishikesh will keep you grounded for blissed out days at the ashram. Of course, no trip is complete without an impromptu stop at a roadside dhaba where you can stretch your legs and enjoy a home-cooked meal. Enjoy vegetarian langar at a Sikh temple, a beautiful ritual that brings together people of all faiths for a shared experience of spirituality and to enjoy a meal with the community. Langar is one of those experiences that will fill your belly and leave an impression on your soul. It's time to spice up my life! Exploring India with a passionate group of humans who eat, spend and travel conscientiously sets this experience apart from the rest. Healthy plant-based meals, eco-friendly accommodations and supporting local tourism... our trips are lovingly designed with Mother Nature in mind. Like you, respecting and protecting the places we go and the people we meet is a priority for us. Experience the kind of fun and adventure that is possible while fueling the greater good! • India is perfect for all-veg foodie adventures! In fact, both Haridwar and Rishikesh are meat-free cities. 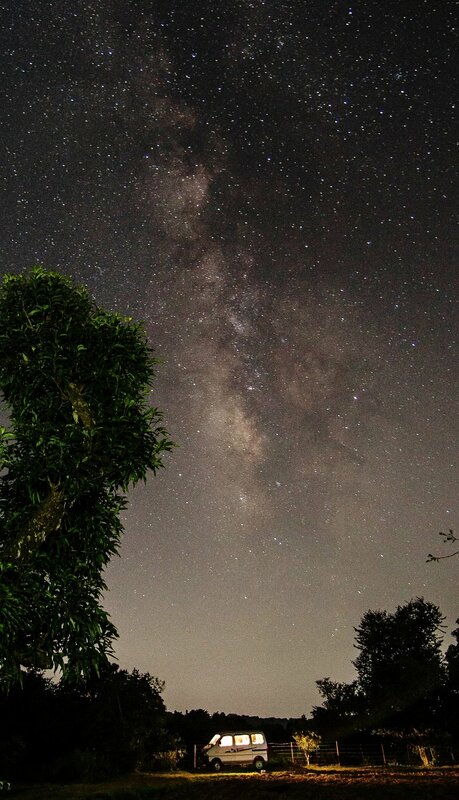 • Nurture your connection to the natural world with a tour of Rajiji National Park where elephants and tigers roam free. • Put on your chef's hat for an Indian cooking class with fresh local ingredients! • Cultivate a life full of wonder, curiosity, and a deep love for everything that is. • Let go of draining histories and step into your radiant truth. • Discover your inner strength through guided journaling, meditation and yoga. • Shop in a way that supports local economies, shows reverence for skilled artisans, and respects Mother Nature. 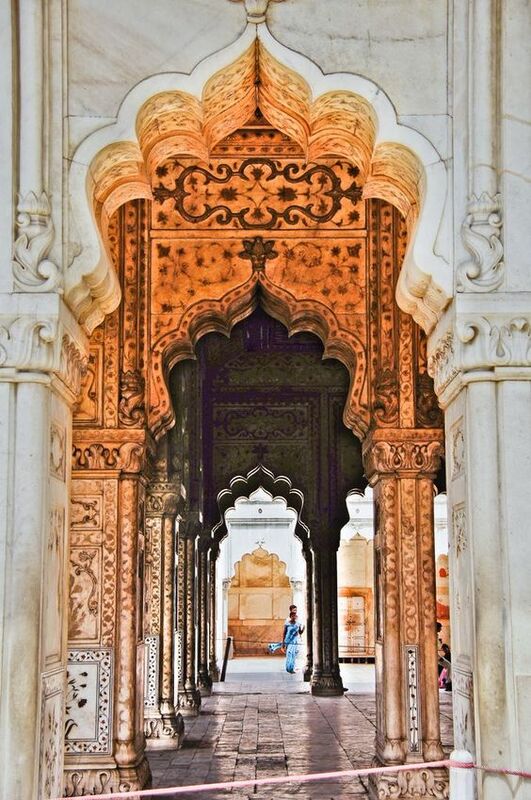 • Make a few choice purchases, like a beautiful white tunic, a stunning tapestry, or a piece of decor that brings the haveli look back home. • Experience spiritual study in the company of elevated souls, your sangat. You'll also see how self-knowledge is intuitively gained. • Daily Kundalini yoga and meditations will open your heart chakra to the blessings of Mother India. • Participate in ceremonies and rituals at the birthplaces of India’s oldest spiritual paths. • Recharge at spiritual power spots and make pilgrimages that will enrich your life long after you’ve returned home. • More than a vacation, a Yatra is a transformative retreat that will reveal new truths about yourself. • Travel light and leave a minimal footprint. This is your ONE amazing, wild, challenging, crazy life! See how these five simple truths can empower and excite you for years to come. I've got shivers... sign me up! The world we know is changing rapidly, so we must maximize our peace and power through yoga, meditation and mindful living. During this experience, you'll practice a way of being that empowers you, no matter what craziness is happening around you. How awesome is that? Don't miss out on this one-of-a-kind adventure! Connect to Atman and awaken your deeper wisdom. Live and breathe the 5 principles of Living Atman. Grow through daily Kundalini yoga, meditations and sacred ceremonies led by Meenu and Pawan. Learn how India’s wisdom can be adapted for life in the West. 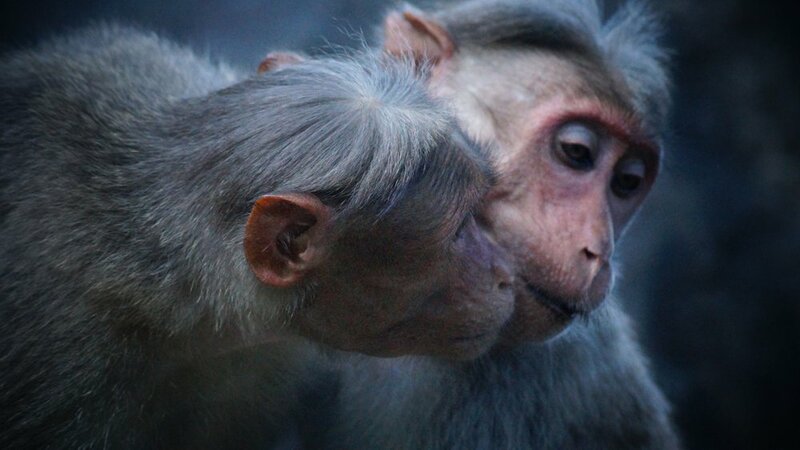 Travel with like-minded humans who are passionate about creating a better world. Create a beautiful travel journal filled with memories and mementos. Experience two spectacular Indian festivals, Holi and Holla Mohalla. Replenish your reserves with soul-filling delights, like an ayurvedic treatment. We’ll start a guided meditation 1 week before the trip and continue this meditation for 1 week following the trip. You’ll be added to a private FB group to share photos, stories and revelations. You'll receive a followup group call with us! We'll coach you through any challenges around integrating the five pillars into your day-to-day life. Together, Meenu & Pawan are the sister duo who power Living Atman's wellness retreats and community-building events. They hold space to allow others to open up and have experiences that can be truly enlightening. I consider this big, beautiful world to be my home. From gorilla trekking adventures in Rwanda and oceanside vacays in Mombasa to train hopping across Europe and eat, pray, loving it through India, travelling has shown me the profound way in which everyone and everything is connected. I'm overjoyed to be able to guide you on this spiritual yatra to my motherland...because incredible India has, and will always have my heart. I know what it takes to design a truly transformational experience and I'm keenly attuned to the energy of this sacred land. I look forward to empowering others on this outstanding journey. Pawan has a Master of Journalism degree and enjoys dabbling in screenwriting and film production. She loves teaching small, personalized Kundalini yoga classes from her home studio, and will be taking Level 3 in 2018! The trips I’ve chosen to take in my life are always heart-expanding and soul awakening! Whether it’s a yoga retreat in the stunning Laurentian Mountains of northern Quebec or a warm gathering of friends from around the world in rural France, for me, traveling is about cultivating connections with others, Mother Earth and most importantly, with my true self. This spiritual yatra brings together the ancient wisdom of the east with the modern lifestyle of the west. I understand now more than ever, how important it is for me (and each one of us!) to live an authentic life, one in which my actions align with my personal values. I'm thrilled to have designed an experience that will show people exactly how to do that! Meenu has a Bachelor of Arts degree in English Literature & Creative Writing and has worked as a classical Animator. She holds Kundalini Level 1 and Yin Yoga certifications. WOW! Can I sign up already? Daily yoga class, meditation, and study of the 5 Living Atman principles + lots of juicy conversation throughout the trip! A notebook, and all supplies needed to create your very own travel journal! Indira Gandhi International Airport (DEL) on February 18, 2018. Arrive in the late afternoon or evening to catch the airport shuttle we've pre-booked for you. Indira Gandhi International Airport (DEL) on March 6, 2018 after breakfast. Depart in morning/afternoon to catch the airport shuttle we've pre-booked for you. *We can help late or early arrivals and departures arrange taxis to and from the airport (at your own cost). We will email you shortly with a response. Please check your inbox for an email from "Living Atman - livingatman@gmail.com".